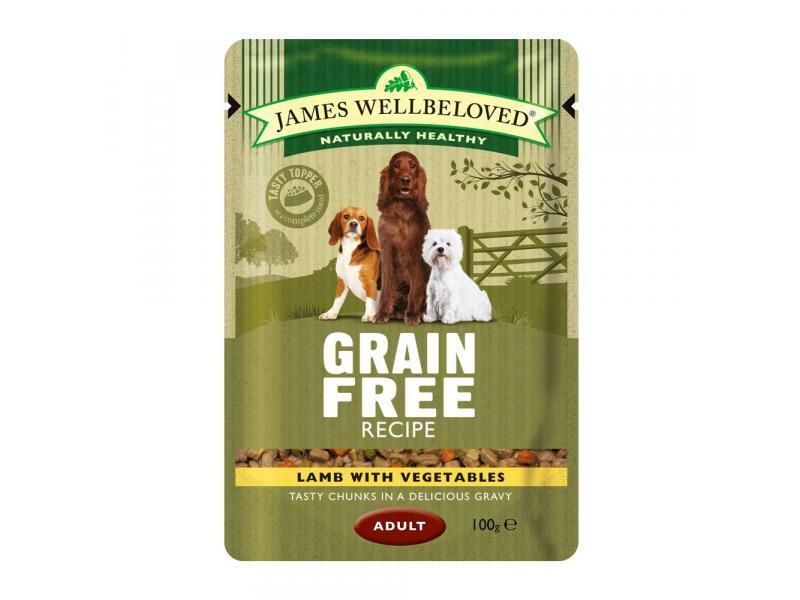 Lamb & Vegetable Kibble is a wholesome and natural hypo-allergenic dog food for loose bowels and for calming itchy and irritated skin and coat. 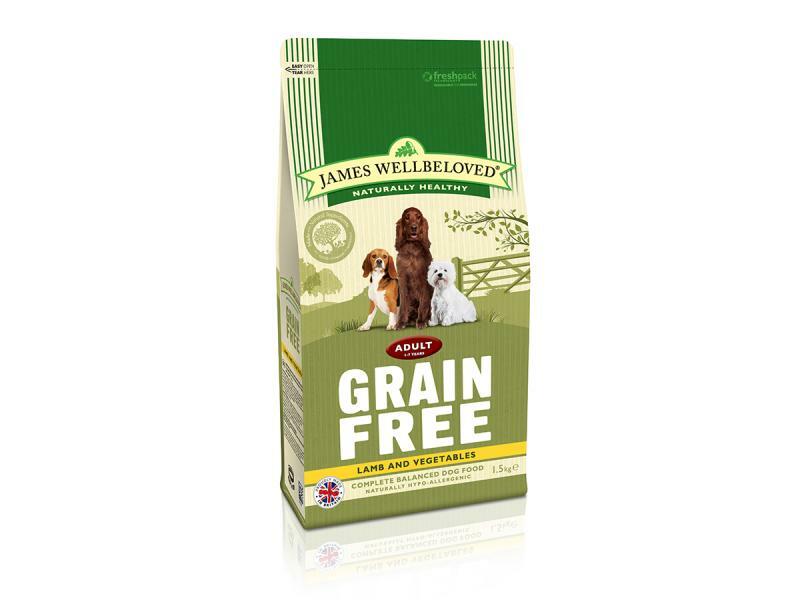 Grain free to suit all dogs, including those that tend to be fussy. Full of ingredients from peas to potato to supply the required protein and carbohydrates for a healthy balance diet, which also aids towards the reduction of nutrient and ingredient tolerances. Lamb is also highly digestible and provide valuable protein. This Kibble has JW+ which helps joints remain lubricated. Supports the heart and joints - JW+ taurine for heart; chondroitin, glucosamine and herbs for joints. Lamb meal (25.0%), pea starch (24.5%), potato flakes (23.4%), tomato pomace (5.0%),lamb fat (3.7%), whole linseed, lamb gravy (2.9%), pea protein, peas (2.5%),sugar beet pulp, alfalfa meal, omega oil supplement*, carrots, seaweed (0.5%), potassium chloride, sodium chloride, parsley (0.125%), nettles (0.125%),chicory extract (0.1%), taurine (0.1%), calcium carbonate, glucosamine (0.045%), yucca extract (0.02%),chondroitin (0.005%). Antioxidants: E306/Natural antioxidant 194 mg.
Vitamins: E672/Vitamin A, 15000 iu,E671/Vitamin D3, 1400 iu. Trace elements: E1/iron, 133 mg E2/iodine, 3.3 mg, E4/copper, 20 mg E5/manganese, 40 mg, E6/zinc, 385 mg, E8/selenium, 0.44 mg. Protein 21 %, crude fibres 4.5 %, fat content 10.5 %, crude ash 9.5 %, Vitamin E 150 mg/kg, omega-3 fatty acids 1 %, omega-6 fatty acids 1.4 %. 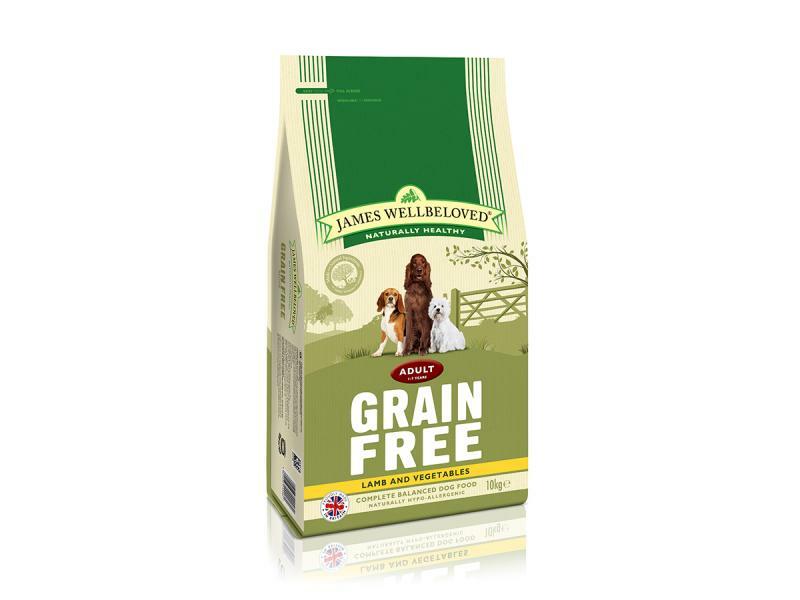 There are currently no questions for James Wellbeloved Adult Grain Free Lamb & Vegetable Dog Food - be the first to ask one!